He describes his philosophy as: focus on both business-results and people. Connecting people to strategy. No nonsense with a heart. André is educated in management , business administration, psychology and technology. 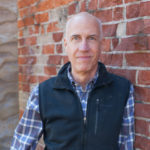 Carr is the Chief Wrangler of a regional business accelerator in the heart of Oregon Wine Country. The Chehalem Valley Innovation Accelerator’s purpose is to build economic and community capacity in the region by helping startups and existing business succeed and grow. The Accelerator also focuses on building regional workforce and talent. With extensive experience in strategic planning, project and process management, and leading teams, Carr embraced Strategic Doing to effect change in a highly collaborative world – especially when engaging groups of citizens, government and non-profit organizations, and industry. Together with the University of Oregon’s Institute for Public Research and Engagement (IPRE), Carr is leading a regional effort to establish Strategic Doing as the common framework for forming collaborations that create measurable outcomes. A graduate of Duke University, Carr holds an MBA from the University of Texas at Austin. Carr has broad, international experience in companies of all sizes and stages – large enterprises, small businesses, startups, IPOs, and turnarounds. He has held executive positions in sales and marketing, business development, investments and acquisitions, and information technology across a variety of industries including manufacturing, legal and professional services, finance, food and beverage, education, and agribusiness. Carr has served as an officer and director in public and private companies and currently owns two small businesses. Carr is a director on the board of two foundations focused on transforming education for the 21stCentury, a director for a mutual savings bank, and twice the President of the local chamber of commerce. 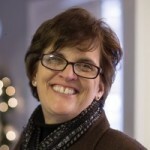 As Associate Vice President of Outreach, Engagement and Regional Development for Northern Illinois University, Rena works with regional partners to create and implement collaborative approaches to advancing education, economic development, workforce development, and innovation initiatives in northern Illinois and Chicagoland. Most recently, Rena provided leadership for the creation of NIU Engineering @ RVC, a community-based, industry-integrated engineering baccalaureate completion program in partnership with the community college and industry partners in Rockford, Illinois. This collaborative workforce solution has inspired the development of other innovative approaches to education and workforce development in the region and won the 2017 Award of Excellence for Talent Development from the University Economic Development Association (UEDA). Rena chaired the national Council on Engagement and Outreach (CEO) of the Association of Public and Landgrant Universities (APLU) in 2017. She helped lead the team that won APLU’s Innovation and Economic Prosperity designation for NIU in 2013. She is a board member of the University Economic Development Association. 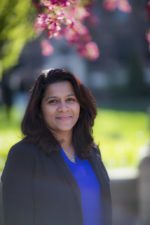 She is also a member of the national core team for Strategic Doing, a program of Purdue University’s Agile Strategy Lab and is a Strategic Doing instructor. In northern Illinois, she serves on the boards of numerous Chambers, economic development and education organizations. Rena started her career as a broadcast journalist after graduating from Illinois State University with a Bachelor of Science in Mass Communications. She holds a Master’s degree in Public Administration and Ph.D. in Political Science from Northern Illinois University. Janyce Fadden is Director of Strategic Engagement at the University of North Alabama College of Business. Her role includes implementing an innovation pipeline strategy called Shoals Shift Project and other business engagement projects. Currently using Strategic Doing, a flexible agile methodology, the Shoals Shift Project seeks to build a digital economy by enhancing the region’s competitiveness. This award-winning project recently recognized by the Appalachian Regional Commission with a significant grant to accelerate the results. The project has been recognized as outstanding by the University Economic Development Association and the Honor Society of Phi Kappa Phi. In addition, using lean management techniques Fadden has been a key contributor with the College of Business Graduate recruitment team whose work has resulted in doubling the MBA enrollment thus becoming Alabama’s largest program. She has taught the 2.5 day practitioner training and facilitated numerous workshops in workforce development, economic development, higher education, entrepreneurship, community development, rural economies, manufacturing, and nonprofits.